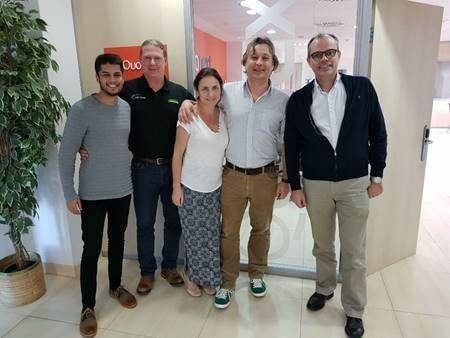 Quonext Turismo, leader in digital transformation for tourism and hospitality companies, has announced that QuoHotel, its Microsoft Dynamics-based management software for hotel businesses, will be distributed in the United Kingdom and Australia with its new Certified Partner KE Consulting. This British consultancy firm, with more than 10 years of experience implementing and selling sectorial management solutions based on Microsoft Dynamics ERP, has experienced a remarkable growth over the last few years and is extending business into the hotel industry. Quonext Turismo belongs to Quonext group, with a significant know-how and experience in the hotel industry. Their QuoHotel solution has been widely used internationally for more than 20 years, with more than 700 implementations currently running big hotels and chains. It has also been acknowledged by Microsoft as a CfMD solution (Certified for Microsoft Dynamics). An IT provider specialising in Microsoft Dynamics NAV –based management solutions, with the best-of-breed technology for companies to boost their business performance. It’s business model is to build successful long term relationships with its clients and has achieved this in many industry sectors including – Utilities, Airports, Manufacturing, Retail and Distribution. With operations in United Kingdom, Australia and Portugal, KE Consulting has a team of professionals in Consultancy, Development and Support ready to help businesses succeed. Quonext has presence in Sant Cugat del Vallès (Barcelona, Spain), Madrid y Palma, and also R+D centres (CEDART) in Segovia, Girona and Cádiz (Spain). More information and graphic resources on the Press Documents area of our web.